No matter how good you are at golf, everyone needs a golf lesson once in a while. LPGA Master Professional, Deb Vengellow has some great advice. Deb was named the 2012 LPGA National Teacher of the Year and a “Top 50” Teacher at Golf Digest. In this guest post Deb offers valuable tips on how to find the right teacher for your game and how you can make the most out of every lesson you take. Many golfers receive the gift of golf instruction. For many, it may be the first time taking a golf lesson. Because this is such an investment of money and time, I want to help you make the most of your investment by giving you the following things to consider. BEFORE YOU BEGIN — FIND A TEACHER WHO MATCHES YOU If you are searching for an instructor, start by asking around to find out if there is an instructor close to where you work and live. If you don’t have to travel far, you will be more likely to commit to an instruction, practice, and play program. Word of mouth is sometimes the best advertisement…ask others who they have spent time and money with on their golf game. Make sure you find a teacher who can help you at your level and one who “speaks your language”. If you know how you learn best (visual, auditory, kinesthetic), you want to be sure this teacher can teach you in your dominant sensory mode. A good teacher can identify this dominant style and adapt, however a method teacher may not. Next, make sure you find a teacher who can make the same commitment to your game that you make to the teacher. Go with your “gut feeling on this one…care and passion for teaching and the game of golf is usually observed easily. ONCE YOU HAVE SCHEDULED YOUR LESSON, COME PREPARED Ideally, make a list of questions and concerns that you would like the instructor to address. Bring your whole set of clubs (if you have them; if not indicate this so that equipment can be provided) and other equipment you use (glove, visor, suitable clothing). Arrive early so that you can loosen up and be ready to go at your scheduled time. Expect an “interview” of sorts…a good teacher will want to get as much information about you and your golf game to help facilitate your learning. ANSWER ALL QUESTIONS TRUTHFULLY AND COMPLETELY During the lesson session, be prepared to answer a variety of questions including your play history, other sports or activities you enjoy, physical limitations, strengths and weaknesses, goals and objectives. Allow the teacher to get to know you and your background…it is a big help and enjoyable for us too! EMPHASIZE YOUR AGENDA A good teacher will help you with what YOU want help with. A lot of lessons do not go well because the teacher has one agenda and the golfer, another. If your agendas are very different, however, you might want to consider the instructor’s reasoning because that’s why you are paying for instruction. If rapport has been established, you will likely understand this scenario. MAKE SURE YOU UNDERSTAND EVERYTHING YOU ARE ASKED TO DO AND WHY The language of golf is so ambiguous and it is easy for a teacher to assume you are fluent in the “language”. Please ask for clarification and help the teacher help you. Do not feel as if you “should know”…many of us do not know what we do not know. KEEP AN OPEN MIND Minds are like parachutes…they work best when they are open. If your mind is full of preconceived notions, there may not be room for other ideas that might help you. You are there for the teacher’s advice and expertise. Try it and do your best to trust it. EXAGGERATE CHANGES It is much easier to learn a new motor pattern if the golfer can exaggerate the feelings of the new movement. This is also helpful for the teacher to get to the correction that works best for you. DEMAND AND EXPECT SUCCESS If you have been slicing and you continued to slice for the entire lesson, you have not been taught! But, if you go from bad slicing to bad hooking, you are gaining ground. A change in ball flight is important, if that is the goal for the session. Ideally, your goals should be met, not perfected. Believe in the potential if things are not perfect as change does take time. Understanding conceptually is the first important thing…the body cannot do unless the brain understands. ASK ANY AND ALL QUESTIONS THAT OCCUR TO YOU Make sure you have no uncertainty about what is asked of you. During the lesson, you need to have a clear understanding of the messages the instructor is giving you. If your comfort level with this person is good and you have someone you “match” with, this will be an easy thing to do. ASK FOR AN EXCHANGE OF FEEDBACK The instructor should help you summarize and clarify what you both did for the session. This is important and helpful in case there are some misconceptions you both may have. It is the essence of communication. Write things down…paper does not forget. ASK HOW TO CORRECT YOURSELF When you make a swing change, the ball may act differently. If you were a “slicer” and your grip position is a new change, the ball may go left. You need to know what to work on to fix this situation so that you are not tempted to go back to where you were before the lesson session. A bit of a step in another direction is sometimes the way to go forward in motor learning as some things may have to be “unlearned”. ASK AND EXPECT SOME PRACTICE ASSIGNMENTS “Homeplay”, not homework. Have your instructor tell you what and how to practice including drills and motion swings. Know that quality not quantity is the goal for perfect practice. Ask for help in handling the changes on the golf course. A good instructor will help with this transition, especially in the area of peak performance training once the new motor skill is habituated. If you can do all of these things, your investment in lessons will pay off. Remember, it is a two way deal…the instructor is expected to assist you, but it is necessary to help in this relationship, similar to what you would likely do with your physician. Instruction is definitely helpful and if you have the right instructor for you, enjoyable. Please also know that each teacher has certain priorities when assisting students with their golf swing. There may be a cause/effect pattern that is creating the undesired result and teachers may proceed differently…there is not necessarily a right or wrong way to instruct in a golf lesson session, however the instructor’s priorities for learning need to match with the student’s priorities for learning, along with learning style and physical abilities. Understanding this very thing may help you believe in the journey you and your golf instructor are taking TOGETHER. It is about YOU, not about ME as the teacher. However, I am hopeful about gaining your trust and assisting you with the golf swing that is in your body. Every one of us is different and this is to be honored. Your golf swing is your golf swing…if you can repeatedly produce a shot in the air, towards the target, and with appropriate distance, your golf swing is solid. How you play the game will depend on your short game mastery and on course management. Have faith…these can be learned. Wishing you great golf! 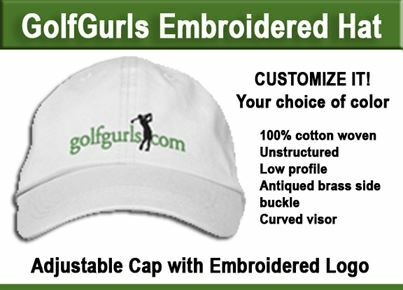 — LPGA Master Professional Deb Vangellow is the Teaching Professional at Riverbend Country Club in Houston, Texas. She is the 2012 LPGA National Teacher Of The Year, an LPGA and Golf Digest Woman “Top 50” Teacher, a Golf Digest and GOLF Magazine “Top Regional Teacher”, a US KIDS GOLF “Top 50 Kids Teacher”,a GRAA “Top Growth Of The Game Professional”, and was continually featured in the now retired Golf For Women Magazine as a “Top 50” teacher. 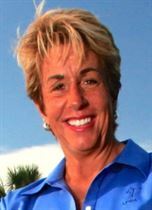 Deb serves as the National Vice President of the LPGA Teaching And Club Professionals and is a longtime lead instructor in the LPGA Global Education Program. An educator/coach who offers wellness based developmental programming integrated into her “student centered” philosophy, Deb can be reached at 281-277-4653 or online at www.debvangellowgolf.com. When was your last golf lesson? Did it meet your expectations? Add your comment in the space below. 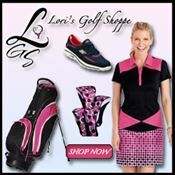 Visit LPGA Teaching to find an LPGA instructor near you. What's New in Golf Fashions at the PGA Show This Year? This was very informative. I will be using these tips! I have one more to add. I keep a golf blog, and whenever I take a lesson, or just discover something on my own, I write about it. Writing it out helps to crystallize the concepts. Today I have a lengthy diary of things I have learned over the years that are relevant to ME. It is worth GOLD to capture those thoughts so you can refer back to them again and again. Great idea to have a golf diary. It’s easy to forget what happens during a round.